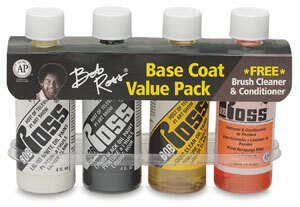 This assortment of Bob Ross mediums is ideal for the beginner's painting kit. It's perfect for classes and the painter on-the-go because it fits nicely into painter's boxes and cases. 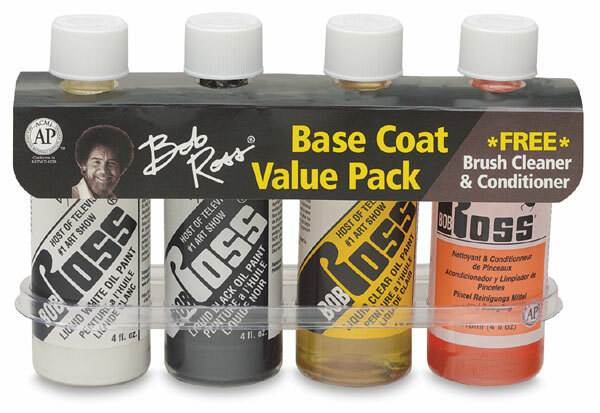 It contains four 4 oz (118 ml) bottles, one each of Liquid White, Liquid Black, Liquid Clear, and Bob Ross Brush Cleaner.